Powerpoint presentations or ppt in short have become an important way to interact with the audience visually in discussions or presentations. While dealing with the broad class of subjects, we may need to add several kinds of media to our ppts. It may be text, pictures, animations or anything like that. To make our ppts attractive we may add whatever media that we think will do better. But the problem arises when it comes to the size of the file. If we have a huge ppt with lots of different types of media then it will be difficult to share it via mail or cloud services. Because all of them put size restrictions on transmission. Then the only way before us is to shrink or compress the file. 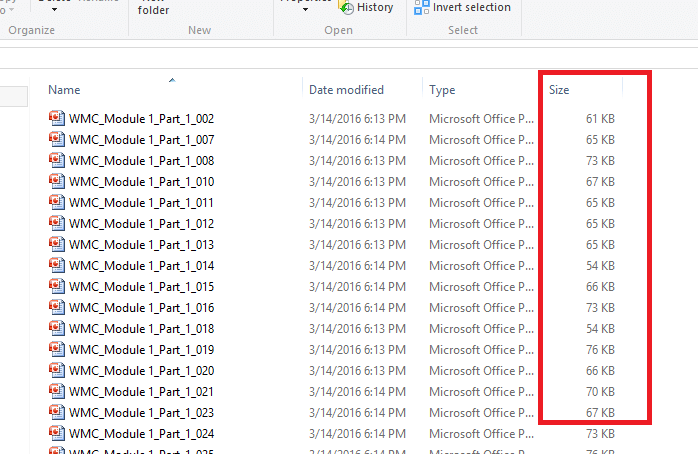 But in some cases even it wont give us a file that come within the specified file size. Then the only way left is to remove some media and make the file smaller. Here comes the issue of deciding what media to discard. For that to significantly reduce the overall size of the presentation, What we need to do is simple. The steps are discussed below in detail. 1. 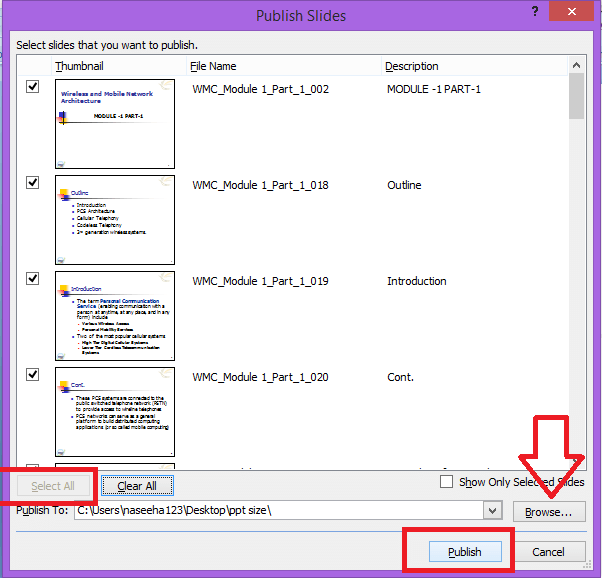 Create a folder solely for publishing the slides. 3. Go to file – > Publish – > Publish slides. Then you will get the following dialogue box. 4. Click on the ‘select all’ button on the bottom left. 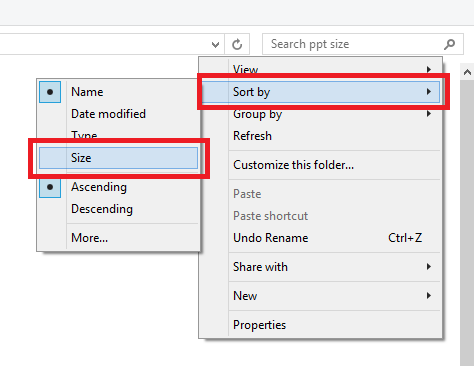 Browse and select the folder you have created previously. Then your ‘publish’ button will show up. 6. When all the slides are published, open the folder where each slide is displayed separately. 7. Check for the file size displayed to the right of each slide. Select the one which is the heaviest. 8. 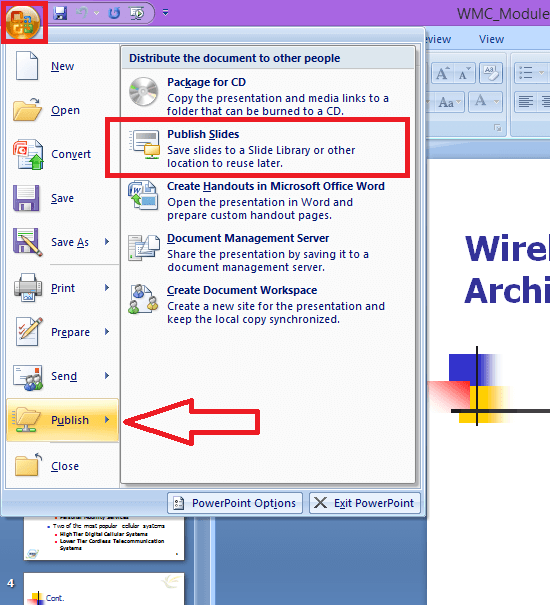 Edit the selected slides in the ppt to reduce the overall size of the file. Now check the size of the presentation. If it is still big, perform steps 6-7 until it becomes a file of required size. You can also sort the slides based on the size to find the heaviest. It would be easier in case of ppts with lots of slides. 1. Right click in the folder. Now you have the slides sorted in decreasing order of the size. Select the slides on the top to edit. Please note that this procedure is demonstrated using Microsoft office 2007 and Windows 8.1 operating system. View will differ slightly in windows 10. But procedure is almost the same.